The origins of the Historic French Quarter Easter Parade. Photo provided courtesy of the Louisiana Division of the New Orleans Public Library. Germaine Wells was inspired to create her Easter Parade after watching Easter celebrations in New York City|! !| when the Astor and Rockefeller ladies would show off their latest couture fashions. Wells took it a step further and made sure the horses pulling her French Quarter parade carriages were also clad in Easter bonnets|! !| pictured here ringed with flowers and artificial eggs. In 1956, Germaine Cazenave Wells, the proprietress of Arnaud’s Restaurant (after inheriting it from her father and its founder, Arnaud Cazenave), decided there was no better way to introduce high fashion into the French Quarter than by hosting an Easter parade and fashion contest. 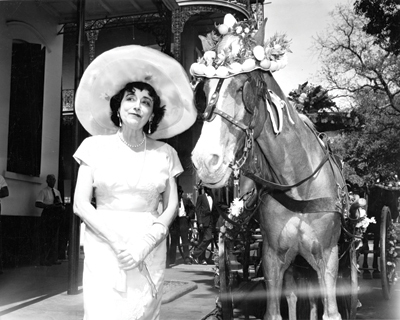 Germaine, known for her embrace of all that is pleasurable in life, had three flower-bedecked horse-drawn carriages carry her and her friends from Jackson Square following the noon Easter Mass at St. Louis Cathedral. They paraded around the French Quarter, alighting at Arnaud’s where a special Easter meal was held, complete with themed music and décor. Three times during the afternoon awards were handed out to the best-dressed ladies in the restaurant. The first parade was such a success that Wells made it an annual event. 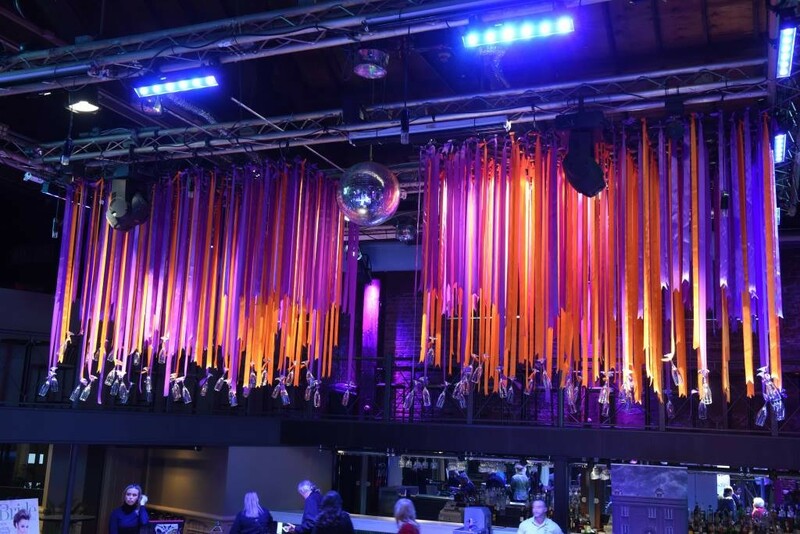 Themes inspired by her world travels were soon introduced to the festivities. A Hawaiian theme was up first in 1958, with exotic Hawaiian dishes added to the Arnaud’s menu for the day. Councilman (and future mayor) Victor Schiro was bestowed with a lei as he greeted the carriages at the end of the parade. “Easter in the Basque Country” was the theme the following year, and over the following years, other regions and cultures of the world were honored, including Irish, Cajun and Spanish. A lengthy trip to the Orient inspired not only an “Easter in the Orient” parade, but also a Cantonese crab-and-corn dish addition to Arnaud’s menu and the opening of the Oriental Room for private dining. In 1972, President Nixon’s visit to China inspired the “Easter in China” parade theme. Wells died in 1983 after a brief illness, but her parade lives. The Friends of Germaine Wells French Quarter Easter Parade was formed in ’85 to keep the Easter parade tradition alive; the parade is now called the Historic French Quarter Easter Parade.